Orland Park (population 55,461) is located in far northeastern Illinois in the southwest portion of Cook County. The town is situated about 12 miles southwest of downtown Chicago with U.S. Route 45 traveling through the center of town. U.S. Route 6 and Illinois Route 83 also pass through Orland Park. The Norfolk and Western Railroad makes its way through Orland Park as well. A nice history of the town of Orland Park can be found at the web address of http://www.encyclopedia.chicagohistory.org/pages/936.html . This article states, in essence, that the area in which Orland Park is now situated was originally settled in the 1830s. The actual land on which the town was platted was owned by a man named John Humphrey. The town was originally called Sedgewick however those from the area successfully changed the name to Orland Park. Orland Park was incorporated in 1892. In the year 1900, the census revealed that there were but 366 people residing in Orland Park. The town's growth increased slowly but steadily through the 1960s, reaching a population of about 2,500. The population exploded in the 1970s through the 2000s, reaching its current status of over 55,000 today. A brief mention of the history of Orland High School is available on the web address of https://district.d230.org/about/History/default.aspx . We know that the area around Orland Park enjoyed at least a grade school as early as the 1830s. It was in 1917 that Orland Township High School was established. Orland Township High School enjoyed growth and several location changes over the next 30-plus years. It was in 1952 that the voters of the area agreed to create a new school district out of the existing high school districts of Palos and Orland Townships. A new building was built and the students all moved in together in the fall of 1954. Thus ended the run of Orland Township High School District #222. The new school was Carl Sandburg High School, with Orland Board of Education member Donald Bond coming up with the name. 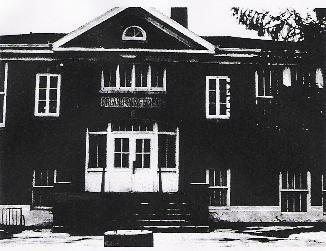 The school was originally a two-year high school held in one building for all school purposes. It was upstairs in the Village Hall on Beacon Street. The village population at that time was 200. A Miss Davis, a graduate from Chicago University High received her Ph.B. from the University of Chicago and set out to organize an accredited Chicago high school in a rural district. In 1922, there were four periods of 43 minutes each. The school year ran 38 weeks. The school taught standard subjects plus mechanical drawing and book keeping. At that time, the nearest high schools would have been in Chicago (either Englewood or Lindblom). Special thanks goes out to Maggie Hanlon at the Orland Park Public Library for her assistance in our research. We know that Orland Township High School competed in boys basketball. We are fairly certain that the boys competed in baseball and track as well, possibly even football. We are interested in the Orland Township High School team nickname, uniform colors, fight song, coaches names, and season records. Individual accomplishments are also welcome. The boys of Orland Township High School won two District Championships before the school was renamed Carl Sandburg High School in 1954. These two championships came back-to-back in 1952 and 1953. If you have any further information on the Orland Township High School basketball program please contact us via the means listed at the bottom of this page. School plays, dances, homecomings, clubs, parties, and student government all were likely a part of the Orland Township High School curriculum. Please let us know if you have more to share regarding this portion of the OTHS experience.